There are always three speeches…the one you practiced, the one you gave and the one you wish you gave. Are you looking for someone to present an important subject and motivate your audience? 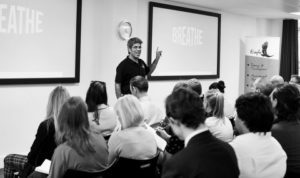 When delivering a message to your organisation, Duncan uses his extensive presenting experience to ensure that you and your audience remain motivated, inspired, focused and entertained. Your attendance and contribution to the Cafe2U Annual Conference was greatly appreciated. Cafe2U franchisees left the venue with renewed vigour, enthusiasm and the drive to work on their individual businesses thanks to your support.